Have you hugged your baby bear today? 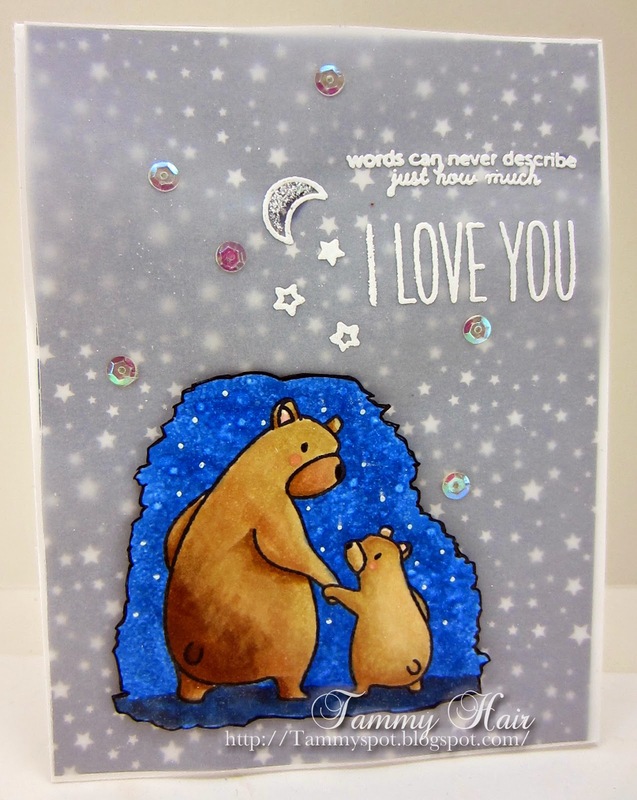 I did when I created today's card and used the mommy and baby bear stamp from the Bear Hugs set from Mama Elephant! So, what you're saying is...it's okay to hug the baby bear, just don't poke the mama??? I love your card and that sentiment is precious. Very sweet image Tammy..love the vellum over the top and the white embossed sentiment.. This is so sweet. Love how you've colored the image. Wish my baby bear was here to hug, but he will be home in a few weeks. Oh Tammy, this is just sensational! I love the scene you've created! Your card is Awesome Tammy! Absolutely gorgeous Tammy! Love the background too! awe - this is so cute! Hugs! I'm SO glad you reminded me to hug my bear! Super cute card and love the way you highlighted the little bears.